I used to make these paper pots a lot when I was younger, and now I'm going to show you how to. Start with a plastic container. I recommend plastic because it's flexibility comes in handy. Cover the container in Vaseline. It's pretty yuck but has to be done. I started by putting a bit of PVA straight onto the container so that I could put sequins and glitter on. This is of course an optional extra. Glue small pieces on tissue paper on top. 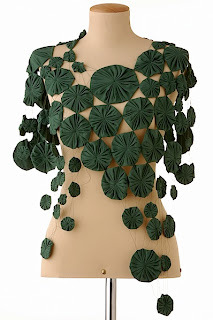 After a few layers of tissue paper I then moved on to ripped up pieces of a magazine. My magazine of choice was a September 2008 issue of Closer. Fun fact. After a sufficient amount of layers I applied the final layer of paper which I wanted to be this silver tissue paper. You then need to leave the whole thing to dry. The airing cupboard is a perfect place but I decided to make use of the hot weather we had this weekend and let mine in the garden. Once it's dry you need to remove the plastic container. This can be a little tricky but that's where the flexibility of the plastic comes in. Just keep squeezing and tugging and soon it'll pop right out. This is what the inside looks like. You're going to want to wipe out the inside with some paper towel because of the Vaseline. To finish I cut round the top to make it neat and glued on some fun trim as a finishing touch. Also, here's another pot I made with a different sized container. 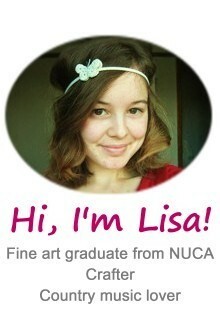 And remember folks, I'm now on Etsy so be sure to check that out. 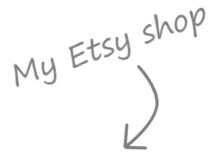 One of my goals for this summer was to finally get an Etsy shop up and running, and after finishing up some sewing, taking a bazillion photos and finding out posting prices I've done it! At the moment it's only 3 products, with 5 different versions of each. I just want to test the waters first, and if those sell well then I'll add more. Please take a look and tell me what you think, constructive criticism welcome as I'm very new to Etsy. This part of the project is very realistic as I used the left over wallpaper from my actual room, so I didn't have to try and create the same pattern. I cut the paper into more manageable strips and ended up using a combination of double-sided sticky tape and pva glue to stick it to the walls. This was not easy. The glue made the paper wrinkle and the tape kept coming unstuck. I've never wallpapered an actual room but I don't want to after this experience as I imagine it will be 10 times as difficult! I did have some help though; Jack Shepard from Lost was on hand with the glue. Charlie was also around but he just sat on the parcel tape drawing on his fingers. Some people eh! Mission accomplished. I'm hoping it will look neater once I get the carpet and all the skirting boards in. This frame was a simple Art Attack project made out of cardboard,made many years ago. Remember this box of goodies I scored at an antiques fair? Well I've started putting some of the things to use, starting with some of the broken necklaces. 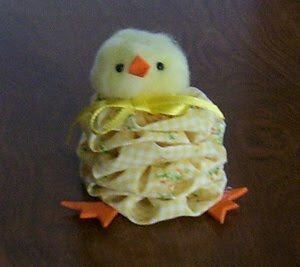 Thrifty Fun has a tutorial for how to make these yo-yo chicks. 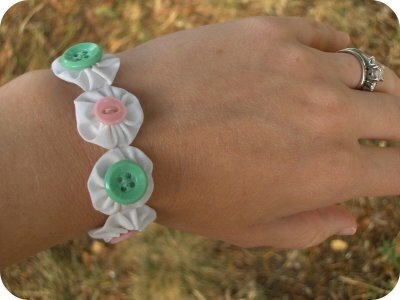 Learn how to make this yo-yo bracelet at Zakka Life. I love this wearable yo-yo piece from XODÓ DI PANO / YO-YO CRAFT. 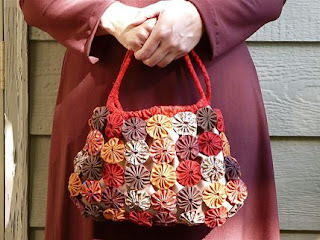 And this cute yo-yo covered bag is from Craftstylish. This is the light fixture in my bedroom. It's bright pink and it's flocked. What more could you want? 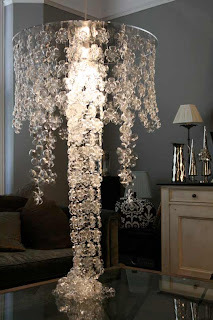 Well here are some even more impressive chandeliers. 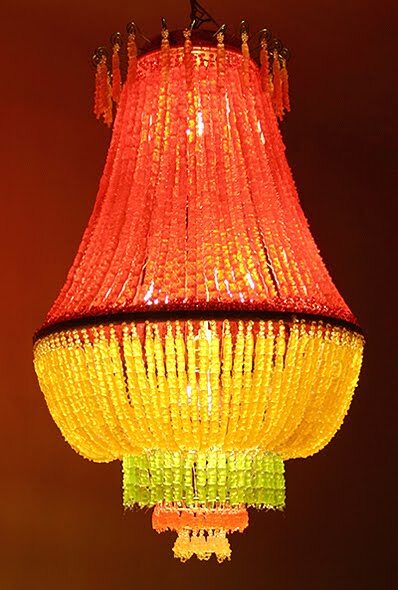 This piece is by Yaya Chou ad is made out of gummy bears! Apparently they don't melt, they just go a bit soft. 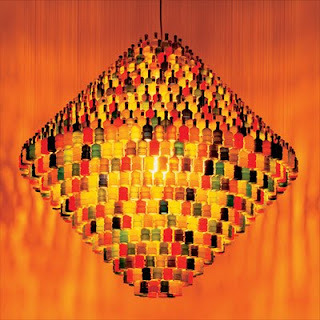 Michelle Brand recycles plastic bottles to make these stunning chandeliers. Along with party poppers, Stuart Haygarth has also made chandeliers out of glasses, plastic wine glasses and tail lights. 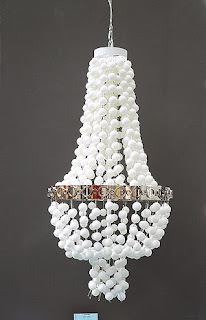 Zia-Priven is a husband/wife design team who made this ping-pong ball chandelier. I've been sewing on to photos again, but this time instead photos of my friends I chose to enhance a holiday snap.